Designed to complement the sophistication of the terminal’s future resident – Celebrity Edge – T25 features cutting-edge technology and a sleek design, all crafted to create the ultimate guest experience. T25 melds a warm design with unique technology, such as Frictionless Arrival, which will make the check-in process absolutely seamless, and an interactive light wall art installation. T25 will also offer Suite Class guests a singular experience along the path to The Retreat, with an exclusive lounge, elevator lobbies, screening areas and even a private rooftop terrace. Scheduled for completion in late October 2018, T25 will be the new home to many Celebrity ships during their winter deployment, including Celebrity Edge, Celebrity Infinity, Celebrity Reflection and Celebrity Silhouette. Along with these ships, the terminal will be able to accommodate up to a 1,150-foot-long ship. 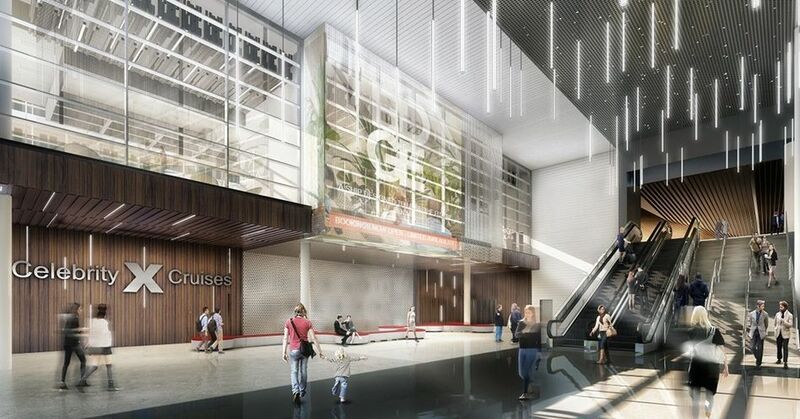 When Celebrity is not using T25 the facility will be open to other cruise lines. 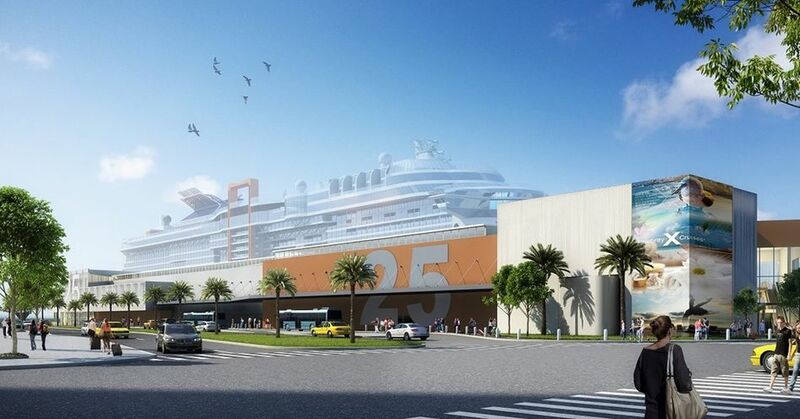 “This is the largest financial investment that Port Everglades has made in a cruise terminal, and we fully anticipate that Terminal 25’s iconic design will be a showcase for Broward County and Celebrity Cruises as we strive to create an inviting and fun environment for the millions of cruise passengers who visit here," said Broward County Mayor Beam Furr.